Tags: crusaders, event, hermit, st. patricks, premature party. There's no such thing as a party starting too early — at least, that's what The Washed Up Hermit believes. Why celebrate St. Patrick's day for just one day? Why not instead celebrate for a whole two weeks!? Perhaps Hermit is excited because his latest guest, Ana Guinness, an internationally-renowned bartender, has really cranked the party up to 11. She's here to make sure every Crusader has the time of their lives, and with her millennia of experience to back up her skills, lets just say she knows how to keep a Tier 4 party going until the sun comes up a dozen times over. Welcome to Hermit's Premature Party 4! Hermit's Premature Party 4 introduces Ana Guinness, and brings back Kyle the Party Bro, Larry the Leprechaun, Snickette the Sneaky, Squiggles the Clown, and Saint Patroika! The party ends on Tuesday, March 19, 2019 at 12:00PM PDT! News of your exploits has spread far and wide, from the crowded cities to the hidden taverns of fae kind. Ana Guinness, bartender extraordinaire, is ready to have some adventures of her own again, after millenia serving drinks to her fellow leprechauns. Of course, she wouldn't be a leprechaun without an affinity for treasure, and if you follow the rainbow she guards, bosses you encounter will drop silver chests more often. Plus, gold will just rain from the monsters as they die before you from her gold find abilities. If you haven't collected them already, you can unlock previous Tier 1, Tier 2, and Tier 3 Crusaders by completing their respective objectives. Kyle the Party Bro, Larry the Leprechaun, Snickette the Sneaky, Squiggles the Clown, and Saint Patroika are all once again available to unlock! Recruit Ana Guinness | Ana Guinness takes up a slot in the formation If a boss drops a chest, you lose DPS for 30 seconds. Reach area 600. Leprechaun Party | Leprechauns and Elf Crusaders only. Invisible leprechaun enemies spawn randomly and are invisible, only appearing once they reach your formation. Reach area 700. My Girl Likes Treasure All The Time | A Greedy Coin takes up a slot in the formation. Whenever you pick up gold, the Greedy Coin disables DPS for several seconds. 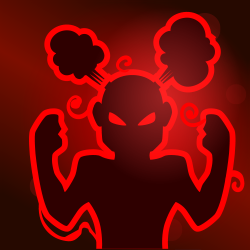 The Greedy Coin also deals damage over time to Clicker Crusaders. Reach area 750. Beers to You | Area quest requirements are tripled. Additionally, special Beer Monsters spawn on occasion, which increase area quest progress by 10 upon death. Reach area 800. The Emerald Isle | An emerald island takes up the center slot in the formation. For every 100 monsters you kill, one Crusader gets disabled for 30 seconds. Reach area 850. Equipment for event Crusaders can be found in Silver and Jeweled St. Patrick's Chests, which you can earn from objectives and the free play or buy in the shop. Each non-recruitment objective will drop a chest for its given tier of Crusaders, and free play will drop all-tier chests. Gear for Tier 2, Tier 3, and Tier 4 Crusaders will only appear in all-tier chests once you've unlocked the respective Crusaders. You can select the tier of chest you buy in the shop. 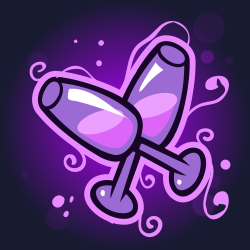 You'll have until Tuesday, March 19, 2019 at 12:00PM PDT to complete Hermit's Premature Party 4! Just in time for the first weekend of March, we have some new talents, tweaks, and changes that are sure to help you earn more crafting materials and make the most of your missions. Increases your chances to get shorter-duration Missions. Earn more Epic materials from Missions. Send more Crusaders on Missions. 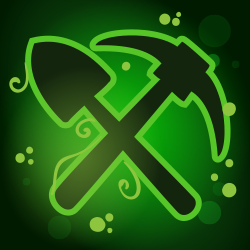 Increased chance to turn Silver Chests into Jeweled Chests. Earn extra Common Materials from duplicate items. Tags: crusaders, event, merci, mix-up, merci's, 2019. The life of a Mad Wizard is a lonely one, and for Merci the Mad Wizard it is lonelier than most. This year, Merci has a plan — one sure to mend his own loneliness through the power of Love Magic! But it appears Merci has miscalculated, accidentally opening a portal to Super Love Land — and the dangers beyond... Merci's Mix-Up 4 introduces Ishtar the Fire Queen, and brings back Rocky the Rockstar, Sally the Succubus, Warwick the Warlock, Katie the Cupid, and Frankie the Demon Crooner! The romance comes to a finish on Tuesday, February 26, 2019 at 12:00PM PT!! Legends tell of Ishtar the Fire Queen, a supernatural fertility demon who knows just how to get the most out of each and every Crusader in her formation. Ishtar's Fertile Thoughts increase Global DPS and her Starlight increases the potency of angels and demons. Her allure knows little bounds, as she is able to attract Fire Sprites that increase Gold Find and speed up quest progress. If you haven't collected them already, you can unlock previous Tier 1, Tier 2, and Tier 3 Crusaders by completing their respective objectives. Rocky the Rockstar, Sally the Succubus, Warwick the Warlock, Katie the Cupid, and Frankie the Demon Crooner are all once again available to unlock! Recruit Ishtar | Ishtar the Fire Queen starts in the formation. Meteors randomly strike the formation, and if Ishtar dies, you'll need to restart the Area. Reach area 600. I Put a Cantrip on You | Only The Bush Whacker, Nate Dragon, and the Crusaders from Merci's Mix-Up are available. Additional blue and green monsters spawn; killing the blue monster will cost Crusaders half their health, while killing the green one will improve Global DPS for 15 seconds. Reach area 700. Fly Me to the Stars | Three 'Stars' occupy slots in the formation, changing positions every 75 Areas. Each Star disables the DPS and formation abilities of adjacent Crusaders who are not an angel, demon, supernatural, magical, royalty, or a dragon. Reach area 750. 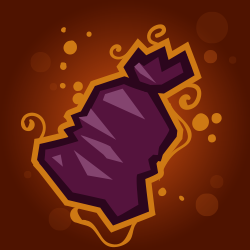 My Funny Valentine Candy | Heart Candies spawn at random and are very difficult to kill. Each Heart Candy disables a random Crusader in the formation while it is alive. Reach area 800. Moon Dancing | The night is dark and the moon illuminates only two Crusaders at a time. Only the illuminated Crusaders are able to do DPS. Taskmasters are disabled. Reach area 850. Equipment for event Crusaders can be found in Silver and Jeweled Valentine's Chests, which you can earn from objectives and the free play or buy in the shop. Each non-recruitment objective will drop a chest for its given tier of Crusaders, and free play will drop all-tier chests. Gear for Tier 2, Tier 3, and Tier 4 Crusaders will only appear in all-tier chests once you've unlocked the respective Crusaders. You can select the tier of chest you buy in the shop. You'll have until Tuesday, February 26, 2019 at 12:00PM PST to complete Merci's Mix-Up 4! It's with heavy hearts that today we announce the retirement of the mobile version of Crusaders of the Lost Idols. While its release was an awesome milestone for us at Codename, regrettably we haven't attracted the player base we need to continue to maintain it, and the time and effort we use keeping it up to date could be better spent on the PC version of the game. But don't worry! You can still play Crusaders on a computer on Steam, Kongregate, Armor, Facebook, Miniclip and the all-new Codename Games website! Plus we'll be continuing to support the computer version with the extra development time we'll have freed up! What's Happening and What Does it Mean? 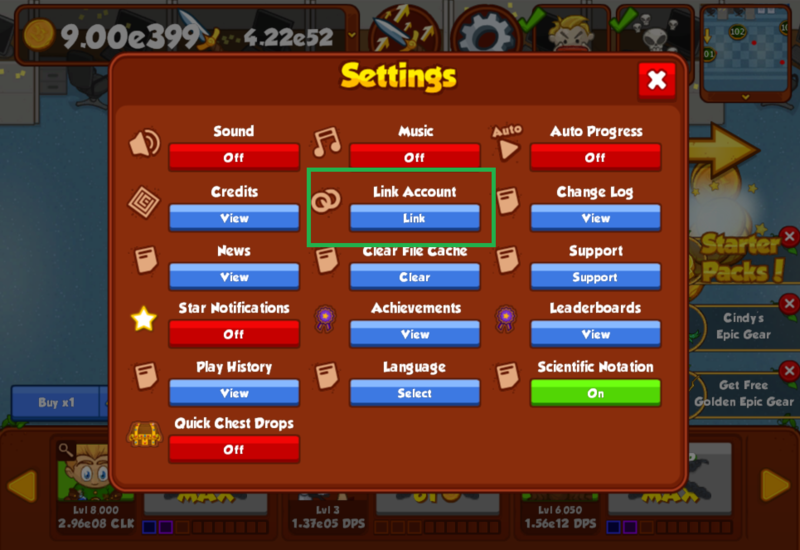 Pressing the Link button in the in-game Settings menu, and generating a code. Settings menu, with Link button highlighted. Link Dialog, where you press the Generate a Code button. Load Crusaders on the computer on the platform where you wish to play. Available platforms are Steam, Kongregate.com, ArmorGames, Miniclip, Facebook and the Codename Games website. Play through the tutorial for the game on that platform until you complete it. 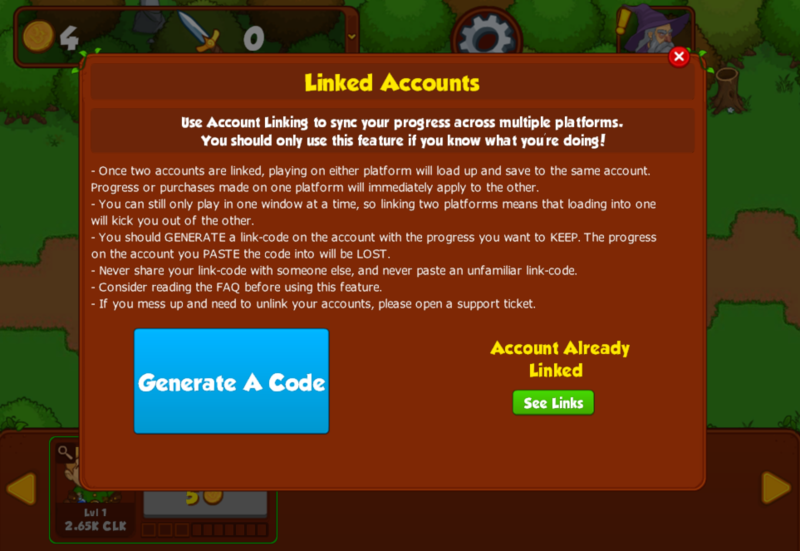 Type the code from your mobile device into the Linked Accounts option in the Options menu in Crusaders on your computer. If you don't currently play on mobile, we are no longer offering the option to link your PC progress to your mobile device. We will be disabling purchasing in-game on mobile devices with this update as well. The mobile app will no longer be available to play or to download as of May 1st, 2019. We will however keep the app up to date with new events and crusaders until that point. After May 1st, if your device has kept the app updated, you will still be able to link your mobile progress off your device, however you will no longer be able to play. While the era of the mobile version is ending, it does mean that the Crusaders team will be able to focus all their energy on the computer version and allow us more time to add new features and make improvements to the game. But What About the Ad Bonus? 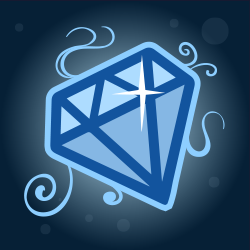 We'll be adding a passive 25% Idol bonus to all resets, available no matter where you play the game. That's right, no more having to click buttons or watch videos for extra Idols. They'll just happen! Because we'll be adding this new passive bonus for Idols, we'll be removing the ad bonus system from the various platforms where it's currently offered. Thank you to everyone who has supported the mobile version of Crusaders of the Lost Idols over the years. We look forward to seeing you all in Crusaders on the PC and we hope you enjoy what this extra development time will help us do to the game!